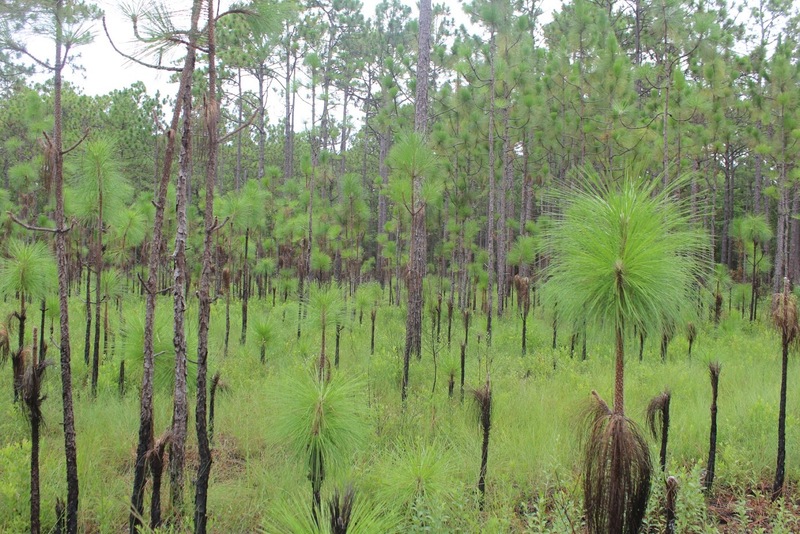 A change in forest management techniques, including fire, is helping restore the once-pervasive longleaf pine in Croatan National Forest along North Carolina’s central coastal region. The success of ongoing efforts holds promise because the trees are hardier against wildfires and extreme storms than other species. They also are home to a diverse range of plant and animal life, some of which is unique to the region. For an untrained eye, studying the understory of a longleaf pine forest in Croatan National Forest in eastern North Carolina seems unremarkable. Yet, concealed among the longleaf habitat’s low-flung grasses are dozens of strange and varied living things. In the midst of the varied plant life is the Venus’ flytrap, one of five insect-devouring organisms in the forest. Another is Pinguicula, commonly known as butterwort, whose digestive glands line its leaf to capture prey. The otherworldly plants evolved to eat insects since there was little else to survive on in the sandy, nutrient-deprived soil of the coastal plains’ longleaf pine ecosystem. 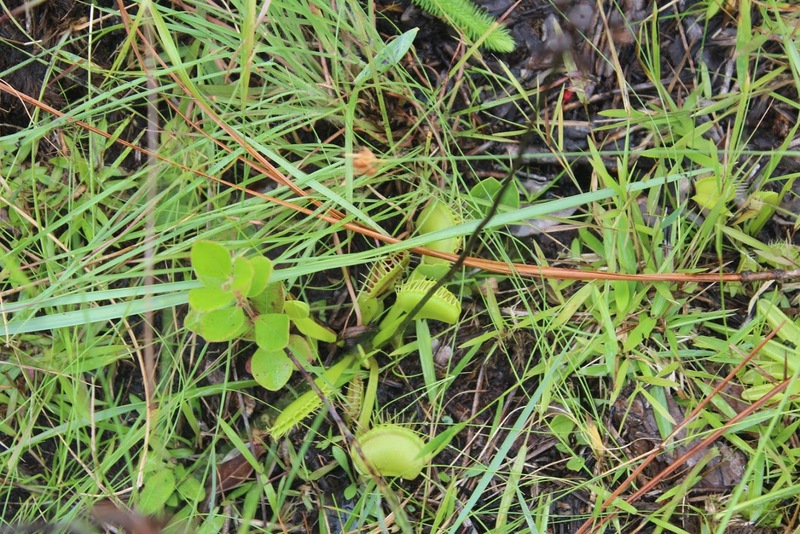 Selling flytraps on the roadside was once a cottage industry in the Carolinas, Walker said. Despite the ongoing threat from poachers – harvesting them from federal land is now a felony – they are thriving in portions of the Croatan. Yet to protect the flytrap and the robust array of plant and animal life, land managers throughout North Carolina’s coastal plain have made a spirited effort to restore the threatened native longleaf pine and wiregrass habitat that, in its heyday, swept across 90 million acres of the Southeastern coastal plain from Virginia to east Texas. Now, the human defense of what remains boils down to a single ingredient: fire. There’s no better place to observe the longleaf forest’s revival than in Croatan National Forest. One of four national forests in North Carolina, the 160,000-acre forest south of New Bern is bordered by the Neuse and White Oak rivers and Bogue Sound on the Atlantic Ocean along its southern boundary. Its inland landscape includes, in addition to longleaf habitat, saltwater estuaries and raised swamps known as pocosins. In all, the Forest Service estimates that 15,000 of the original 60,000 acres of longleaf have been restored in the Croatan. For thousands of years, fires caused by lightning strikes maintained its complex ecological design. Currently, Croatan National Forest has implemented a combination of prescribed fires and other timber management techniques, such as thinnings, to re-establish healthy sections of longleaf pine habitat. That aim is in sharp contrast to past management choices in which forest managers prioritized timber production over habitat restoration and replaced thousands of acres of longleaf with rows of more economically productive loblolly pine that foresters protected from fire. “This area has a history of burning, but it also has a long period where fire was excluded,” said David Nelson, Croatan National Forest fire management officer. 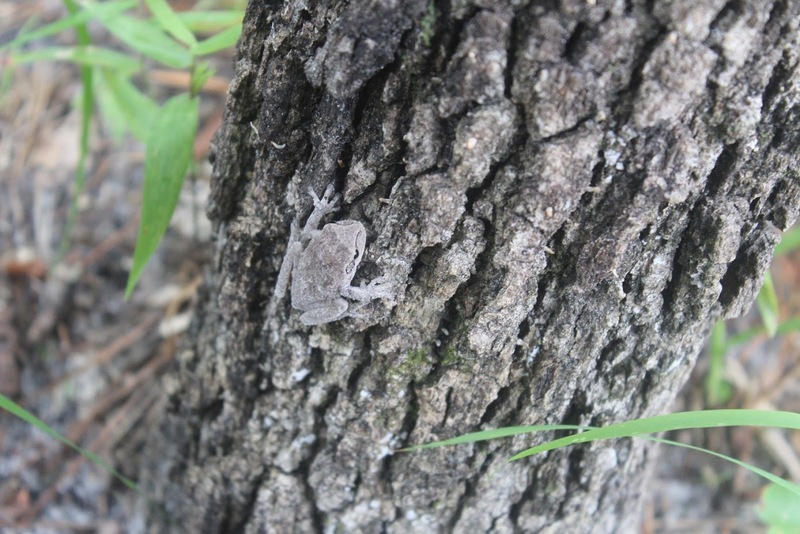 Without fire, he said, other species, such as oak, fast-growing loblolly pine and dense shrubs compete with the longleaf and crowd out the diversity of species and ankle-high wiregrass that help carry light, consistent burns. Hervey McIver, the longleaf pine protection director of The Nature Conservancy in North Carolina, said that in addition to the tree’s ecological value, the longleaf has meaningful ties to North Carolina’s cultural heritage. The longleaf pines were tapped for tar and resin to waterproof ships, and its lumber was coveted for masts and furniture. “It’s a connection to something that once was,” said McIver, who focuses on land protection in the Carolina sandhills and coastal plain regions. For perspective, McIver said that the America’s Longleaf Restoration Initiative, a public and private network of multiple organizations, has targeted a goal of increasing the longleaf habitat’s range from 3 million to 8 million acres throughout the Southeast by 2025. History aside, McIver said, there’s a practical reason to improve the ecosystem. For one, a healthy longleaf ecosystem is a better defense against catastrophic fire than an overgrown forest where fire has been suppressed. Out-of-control wildfire is more difficult and costly to contain. In the past, large wildfires have seared the Croatan, including the Pocosin Fire of 1955, which burned 73,000 acres, and the Fish Day Fire, which consumed 25,000 acres in 1995. While a goal of 8 million acres may seem modest compared with the historical range of the longleaf, it’s symbolic of a drastic change of course in how forest managers and conservationists value and manage the longleaf ecology. “When I started (with The Nature Conservancy), we would find a site, buy it and call it conserved, but we would forget about the management,” said McIver, who has worked at The Nature Conservancy since 1997, following a stint from 1980-82. Now, conservation organizations and public agencies, including the U.S. Forest Service and the U.S. military, have implemented a regime of prescribed burning to manage and restore stands of longleaf. Typically, a healthy longleaf forest is relatively open and roomy. Its lack of density allows a balance of sunlight and space that help nurture its uncanny diversity. But for a longleaf forest to remain open, regular fire is a must. McIver said that currently there’s a surge of attention, funding and resources available to manage prescribed fires. 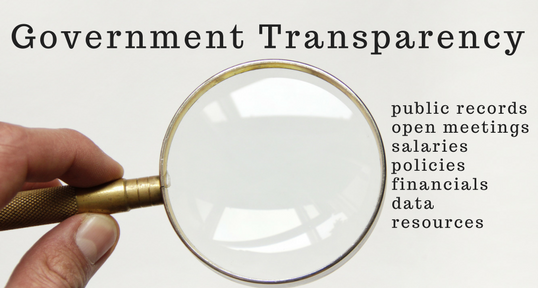 “We are sitting fat right now, but there is a concern that those sources will dry out as attention is focused elsewhere,” he said. And as development encroaches on coastal forests, McIver worries that it may become more difficult and costly to manage the risk and impact of controlled burns, such as containing smoke, which may produce health and safety concerns in nearby communities. According to Nelson, the Forest Service targets managed burns in a single location of the Croatan every two to five years to match the natural cycle of fire. The annual goal is to burn roughly 20,000 to 25,000 acres. Nelson said how a fire burns depends on a range of factors such as wind, humidity, topography and fuel load. A forest understory that’s too thick, for example, can stoke flames that burn longer and hotter and can damage longleaf pines or burn out precious species. Among the species particularly sensitive to fire is the federally endangered red cockaded woodpecker, which builds cavities in mature, living pines that are 80-100 years old. 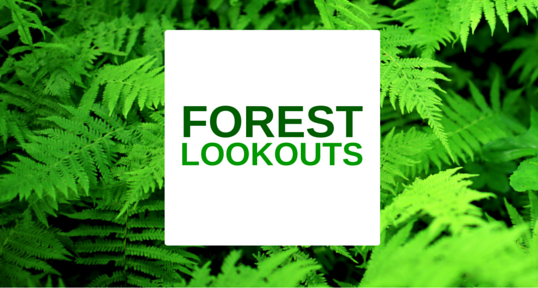 “They are an indicator species for a healthy longleaf ecosystem,” said Hugo Cobos, Croatan National Forest wildlife biologist. He said a woodpecker pecks a small cavity in a cluster of trees for its brood to roost in at night. When the family vacates, owls, squirrels, bluebirds and other creatures eventually move in. As a defense mechanism, the woodpecker flecks off the bark surrounding its roost, exposing a sticky resin that shields it from predators. The substance, however, is flammable. While a regime of fire may benefit specific species, returning the threatened ecosystem to health has practical benefits at a broader landscape level, too. A healthy, functioning ecosystem, Cobos said, is more adaptable to a changing environment. For instance, the longleaf treescape is relatively more resilient to extreme storms that may be more common in the future as a result of climate change. Mature longleaf trees have a uniform height and a deep root system that increases their tolerance to damage from heavy winds typical in hurricane country. Of course, the trees are just a part of the equation. After all, in a forest dominated by a single tree species, the real party is on the ground, where a medley of species flourishes under the right conditions.